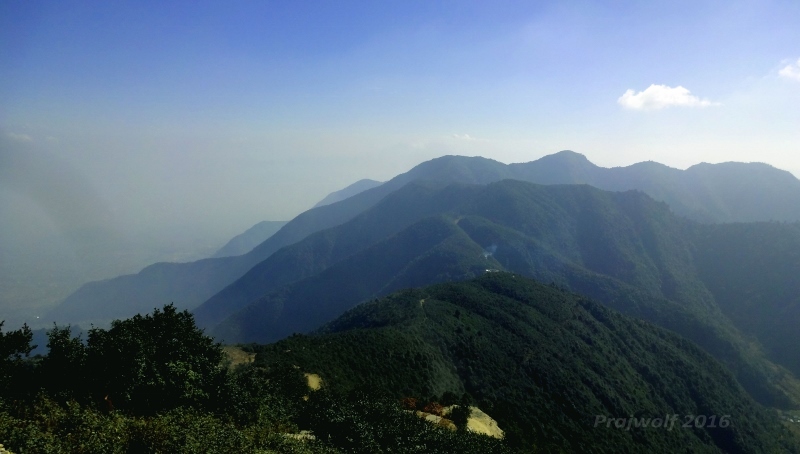 The Chandragiri range landscape is a dense mountain range forest, very rich in biodiversity, lying within the greater Mahabharata range. The diverse flora and fauna of this huge landscape has not been fully accessed yet. Very few studies have been conducted in some parts of this forest area. 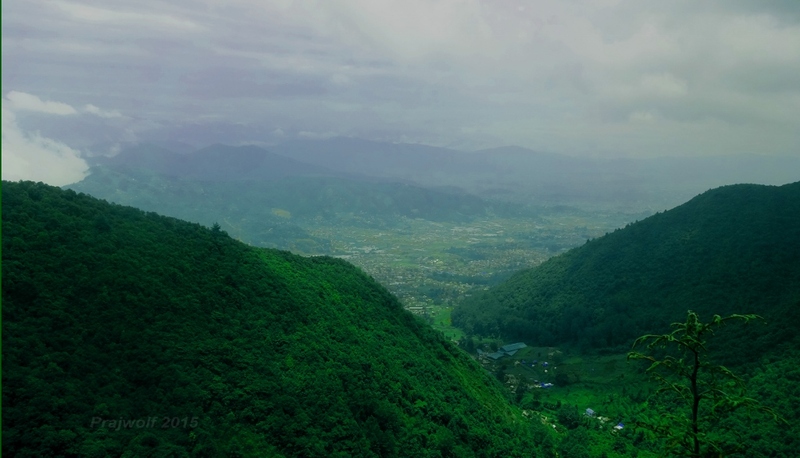 This landscape forms the Chandragiri range that covers south-west ridge of Kathmandu valley from Thankot (west) up to Bagmati river basin (south-east) stretching distance over 12 km. The formations expand beyond the valley ridge into westward up to Bajrabarahi VDC. This huge landscape has the elevation profile ranging from around 1400 to over 2500 m asl (above sea level) comprising of some popular hills Chandragiri, Bhasmasur and Champadevi. The base of the range facing the valley bear outskirt settlement villages like Thankot, Matatirtha, Macchegaun and Chalnakhel. 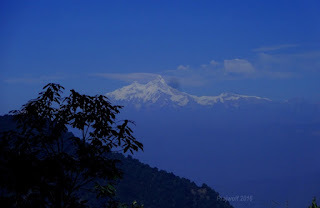 While on the other side of the hills, there are villages Chitlang, Fakhel and Pharping. 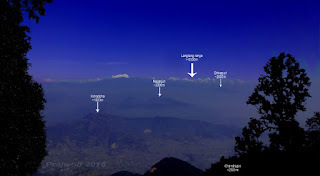 The western crest of this range also forms the border between Kathmandu and Makwanpur districts. Chitlang village falls in Makwanpur, the oldest en route to Kathmandu from southern Nepal used to pass through this village before any highways were constructed. The hills in this range entails religiously significant places of Buddhism and Hinduism importance such as shrines, temples and stupas inviting visitors sparsely throughout the year. 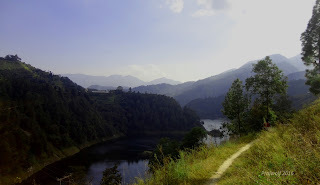 The place also forms a popular hiking area for mainly internal tourists. On the first day of Nepali New Year (1st Baishak), all the hills around the valley are visited by people mainly as religious beliefs and for recreational purposes. 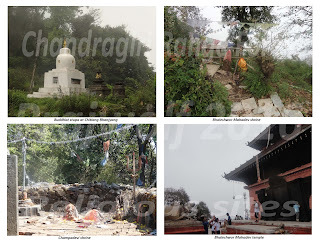 The Champadevi hill (Hindu Goddess shrine) and Chandragiri hill (Bhaleshwor temple) are also among the main charms during this day for the inhabitants around the valley. A recently started cable car service in the Chandragiri hill (Sep 2016) has been attracting many people from the valley. The cable car line connects Thankot Godam to Bhaleshwor temple (Lord Shiva) in duration of just about 8 minutes. The same travel would take 3-4 hours for hikers and 1.5 hours for vehicles. There is an established hiking route expanding across the ridge line of this range from Pharping to Chandragiri hill via Champadevi and Bhasmasur hills. At the eastern edge, there lies Hattiban Resort which is a recreational resort/hotel near Kathmandu that attracts both internal and external tourists. Other religious sites that lie on different edges of this landscape are Matatirtha, Macchenarayan and Sheshnarayan temples. The hills around the Kathmandu valley have similar type of vegetation while differing in the landscape a bit at different places. 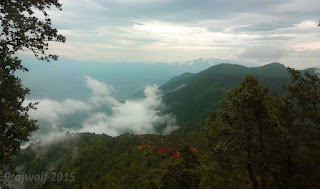 The Chandragiri hill is one of the steepest hills with dense forests from the bottom of the ranges, and slowly opening up the canopy into shrub-covered meadow-like terrains towards higher altitudes. Mostly, the hilltops and southern slopes are covered with Oak and Blue-pine forests. 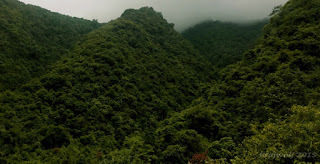 The northern slopes facing the valley are mainly dominated by broadleaved sub-tropical forests of mostly Schima and Castanopsis along with some Chir pines. This dense vegetation and steep slope might be quite challenging to travellers. While the local people depend on the forest resources for their livelihood, their activities in the forest can be rarely observed. This dense habitat supports a wide range of wild flora and fauna. 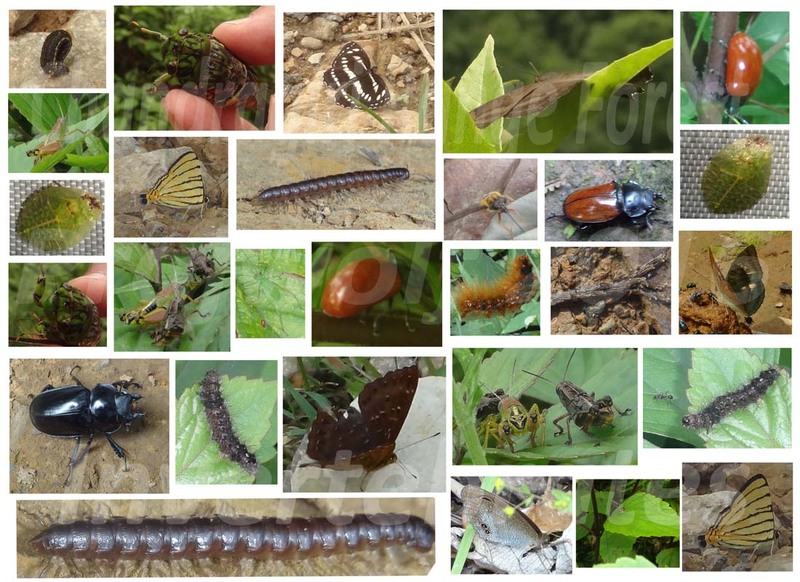 A biodiversity survey by a conservation-driven organization done at seven adjoining community forests around Thankot Godam area of this forest region have recorded 137 species of birds, 13 species of mammals, 9 species of herpeto-fauna and 53 species of butterfly (SMCRF 2015). They have documented three globally, five nationally threatened and two protected mammal species of Nepal. The Critically Endangered Chinese Pangolin was camera-trapped along with their burrows observed throughout the hills. Among the small carnivores camera-trapped were Yellow-throated Marten (Martes flavigula), Large Indian Civet (Viverra zibetha), Masked Palm Civet (Paguma larvata) and Leopard Cat (Prionailurus bengalensis). The forests also serve as perfect habitat for variety of rodent species, bats, macaques, barking deer and wild boars providing ample choices of wild prey for the small as well as large predators such as Leopards (Panthera pardus). Similarly, an ornithological survey around forests of Chitlang village by Nepal Bird Watching Club recorded 160 species of birds (NBWC 1992). There are very few sources of natural spring water on this landscape, mostly on the southern slopes. You can come across small streams along Pharping highway. There is a river in Chitlang flowing from Chadragiri hill and finally draining into Indrasarowar lake. And, there are some natural ponds in religious places Sheshnarayan, Macchenarayan and Matatirtha. To entomologists, this place could serve as a haven for studying invertebrates. The whole forest comes alive with ear-wrenching crackling sounds of cicadas. A variety of grasshoppers can be observed throughout the walking trails in the deep jungle. 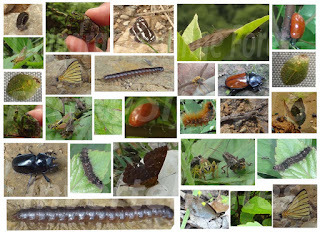 Other invertebrates like different types of spiders, beetles, millipedes, butterflies, caterpillars, dragonflies were regularly observed during my hiking trips, and not to mention the blood-sucking raining leeches during monsoon. The forests surrounding the valley are prime habitat for leopards, yet there has not been much study dedicated to them here. These large cats are being encountered in different outskirts as well as sub-urbs of the city more often in recent times, they are usually thought to have come for dogs that are frequently available in the city. Some areas nearby the Chandragiri range forests where there have been cases of leopard conflicts or sightings are Chalnakhel, Chovar, Kirtipur, Matatirtha all of which lie on bases of the landscape. In January 2016, a large male leopard was captured by zoo officials from a house in Kirtipur. The big cat injured one man but no any fatalities occurred. Later in September 2016, a leopard straying into Matatirtha had to be killed by locals while they were trying their best to chase it into the direction of the forest. Just a month later, a female with four cubs came in same area, the locals succeeded in chasing them into the forest this time. Based on perrs comm with eye witnesses, they’ve sighted leopards on the Pharphing highway, one near Chovar and other near Chhaimale. These cats seem to be doing quite well in such disturbed habitat, however the future of these leopards will hugely rely on our willingness to co-exist with them. 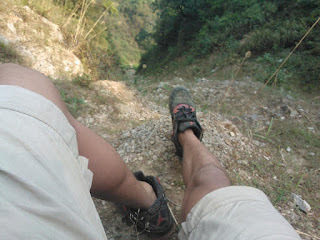 Being an avid hiker and having deep connection with hills surrounding the Kathmandu valley, my quest to explore the wilderness has taken me about 8 times until today at this forest area. During my first hike to the Chandragiri hill, the beauty and the mighty hilly forests of this area emotionally attained my heart that made me return to this forests over and over again. The mesmerizing sounds of the forest wind and the lovely songs of variety of exotic birds make you feel like you’re into a very heavenly place. There are lot of walking trails throughout the forest, each one challenging at its own level. Exploring any wilderness on foot lets you observe any wildlife or indirect signs of wildlife directly. 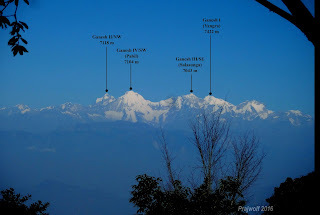 As you start reaching higher altitude, you would most likely come across groups of monkeys, and if very lucky, you will hear calls of barking deer. Along the main road trail from Thankot Godam in early mornings, the foot-prints of animals are observed as later in the day, local vehicle services to Chitlang village would have overridden most of the nocturnal signs. The narrow trails through the dense vegetation of the forest are the most adventurous ones, and can be really challenging during monsoon. These trails are also paths taken by wildlife mostly as you can come across scats of carnivores most often here as compared to the vehicle roads. 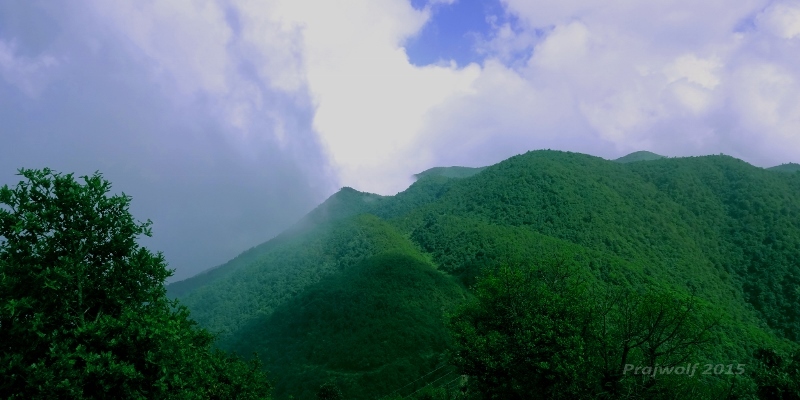 Once you’ve reached the top, you can travel along the ridges of this hilly range throughout. The view of the mighty landscape can make you feel very minute. During clear weather, the Himalayas at north will smile at you all the way making you forget all physical misery of the steep hike. It is guaranteed that the trek into this mountain forest will be one of the most memorable trips for anyone. During one of the hikes, I with my brother, Sulav, happen to take a shortcut trail which only appeared to look like one until we realized it was actually a landslide-inflicted cliff. We had reached a point where we didn’t have choice of returning as the cliff had already gotten very steep and we continued ascending. This was the day we will never forget as lot of things happened during this adventure. We were actually doing a natural rock-climbing without any gears. Every hand-holds, foot-holds we take was like an added life support to our unsuspecting journey. As we climbed, we could see people and vehicles on the main road very far on the edge of another hill, we shouted for help, but nobody could hear or even see us we supposed. Finally when we started hearing sounds of vehicles on road, there was a vertical rock which we had to climb in order to get to the road trail. Sulav got stucked at first but with his strong struggle to get away with the hurdle and not fall off the cliff, he managed to pass that most difficult hurdle, while I couldn’t gather courage to try that ascend. I was looking for any other options, while Sulav was constantly trying to get help from any passers-by. He finally found a way and guided me to it, but to reach there, it was very challenging. So challenging that I lost my confidence and even dropped my backpack with binoculars, digital camera and other items. Thankfully, I didn’t drop myself down the over-hundred foot drop. We also managed to find my backpack by climbing again from below, but lost the camera as it got thrown away during the fall, and the binoculars damaged. I always feel the mightiness of the mountains during the travels, but this was the day I really sensed it first-hand. These mountains are really the monumental structures of nature and the wildlife in those mountains are the living example of how supernatural they are. These vital gifts of nature should be always protected and conserved for the future of the mountains and for the future of people that depend on these mountains. 1992 Nepal Bird Watching Club (NBWC). 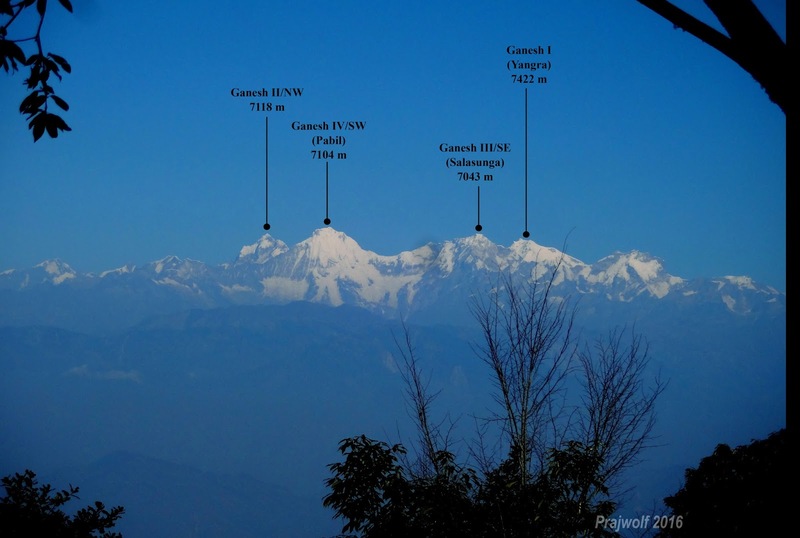 Ornithological survey of Chitlang forest. 2015 Small Mammals Conservation Research Foundation (SMCRF). Biodiversity of Chandragiri Hill, Kathmandu, Nepal.